Lil Yachty posed a great question during his lines on Chance The Rapper’s “Mixtape” a couple years ago. “Am I the only one who really care about cover art?” That's clearly not the case. But it brings up the discussion of the visual medium's place in a changing musical world. Has the use of cover art by musicians changed over the years? Album covers used to be the first thing you saw when looking at an album in the store. From the popular gatefold covers that were all the rage in the 1960s to the more sleek and compact images gleaming from underneath the plastic of a CD case, art has historically played a crucial role in both the marketing and the collectible nature of music. It was paramount to getting eyes and interest locked in on a project. As the music industry catapults into the digital age, album art was at risk of becoming a relic of our more physical past. But cover art has lived on and grown in the hip-hop industry as another vital avenue for visual self expression. 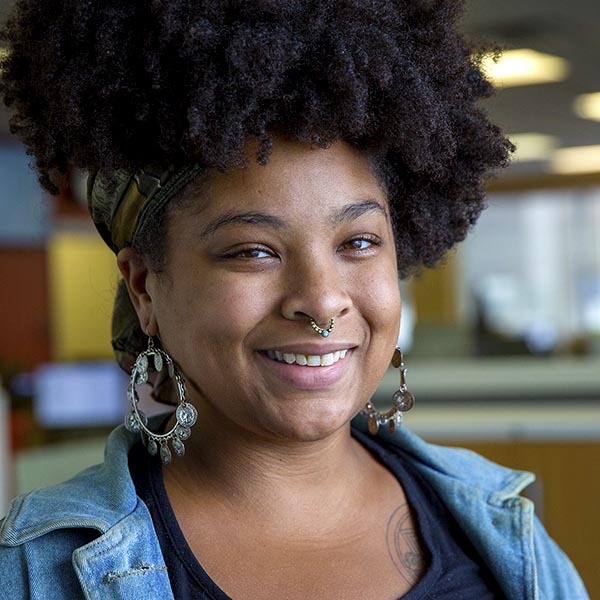 "We see hip-hop artists really leading the wave when it comes to inventiveness," Ball said. Massachusetts native Statik Selektah used a computer code that moved and changed colors for the cover of his album "Extended Play." Hip-hop duo Run The Jewels released their 2017 album "RTJ3" in tandem with an augmented reality app. Fans could then use the app to interact with the album's cover art, extending their engagement with the project. So while the album-buying experience has admittedly moved from an in person interaction to an online one, that doesn’t necessarily mean cover art is a thing of the past. A number of hip-hop albums dropped in 2018 that epitomize this continued dedication to using visuals to heighten the auditory experience of music. We’ve picked our top album covers that make it clear the medium isn't a thing of the past. Rico Nasty is a young, spitfire rapper hailing from Brooklyn. Her music is intensely personal and packed full with wit and punchy metaphors, paired often with bouncy, animated beats that inspire bodily movement. The cover for her newest mixtape “Nasty” features Rico, styled with slick finger waves and a shocking red lip, positioned against a cerulean background. The photo is nostalgic, tinged with the influence of Missy Elliott’s infamous waves from the cover of her single “Hit ‘Em With Da Hee” and the fashion aesthetic of Roxanne Shante from “Bad Sister.” But Rico puts her own unique spin on the past and if you take a closer look, you can see “Nasty” clearly spelled out in the baby hairs along her hair line. The result is something new and fresh — and as fun as Rico’s music itself. “Astroworld” is the third studio album released by rapper Travis Scott. The project’s name is based off of the now defunct Six Flags theme park “Astroworld” in Houston that was torn down in favor of building apartments. Scott felt strongly about the demolition and incorporated that into the themes of this album. “We want it back. We want the building back,” Scott said in an interview with GQ. “That’s why I’m doing it. 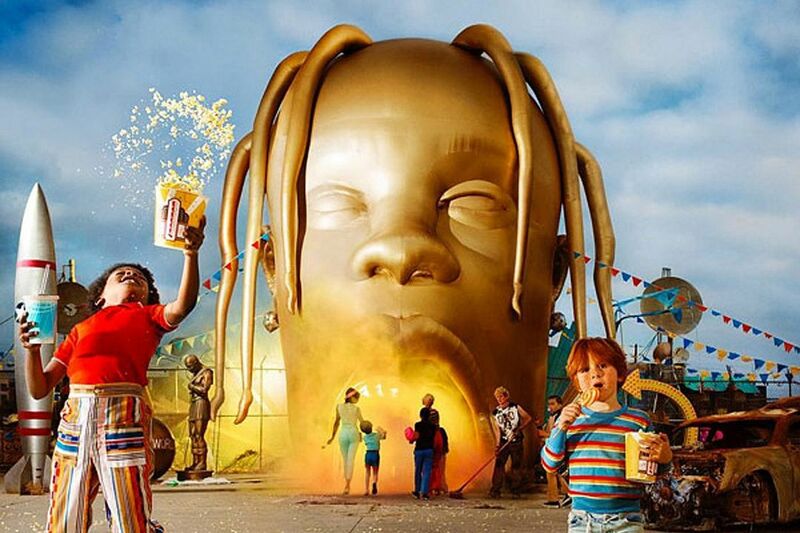 It took the fun out of the city.” The album cover, shot by photographer David LaChapelle, is a visual take on what Scott envisions “Astroworld” to be — an auditory roller coaster experience of his music. Scott’s head, turned into a golden inflatable entrance to a theme park, invites children, their parents and more inside. A second album cover features the same entrance at night, surrounded by scantily clad women contorted into different positions that are less family-friendly than the daytime version. The result is a visual continuation of a metaphor that’s woven throughout the project, adding depth, duality and perception to what “Astroworld” is all about. J. Cole has been lauded as a “conscious rapper” since his debut album “Cole World: The Sideline Story” dropped in 2011. Cole continues his exploration of human nature in “KOD,” which is an acronym for a few different things: “Kids on Drugs," “King Overdosed” and “Killing Our Demons.” Each is a descriptor of a stage in the process of freeing the mind from the control of addiction. 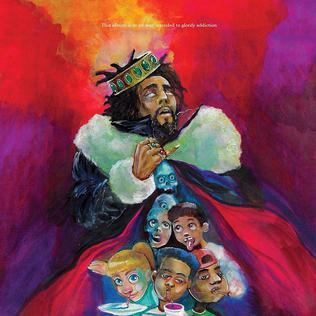 Cole hired artist Kamau Haroon to design the cover, who described it as a “marriage of art and music.” The album itself is heavy with the themes of addiction to various things, whether it be drugs or money or fame, and the cover art reflects this. The image, featuring kids doing drugs underneath the robe of a crowned, inebriated Cole, is shocking and evocative but immediately brings up questions about where society, and cultural consumption, is headed in the future. 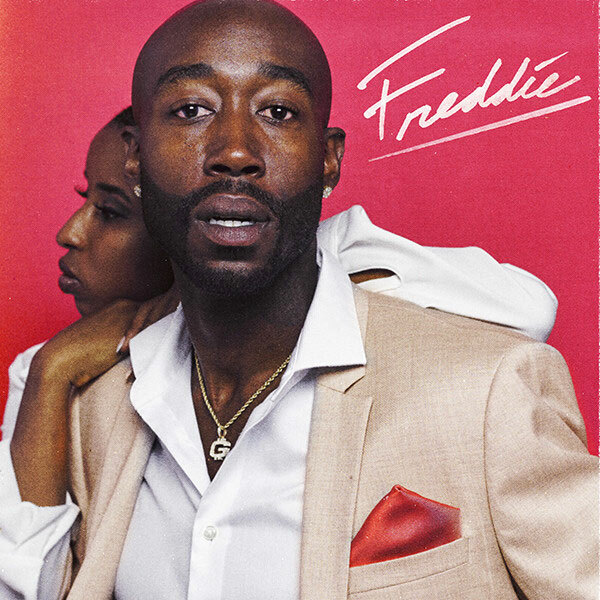 Freddie Gibbs’ cover for his newest album is a clever remake of Teddy Pendergrass’ 1979 record “Teddy.” Homages are always an inventive way to keep history in the present and Gibbs definitely does Pendergrass justice with this cover. “He drew in a lot of people based on that cover alone,” G. Valentino Ball said. “He’s got the old heads who know the reference interested in it. And then he’s got the younger generation, who may be intrigued by the '70s style cover or interested in figuring out where the inspiration comes from. Now he’s got both of our ears.” Gibbs’ paid careful attention to detail, wearing a beige suit with a pink pocket square as Pendergrass did on his own album cover and even utilizing the same style of font for the album title. The result is cover art steeped in nostalgia that plays off of Gibbs’ use of '90s R&B samples like Mary J Blige’s “My Life” and Silk’s “If You Lovin’ Me” but still stays true to Gibbs’ dirty, gritty lyrics.